See Charlie Brown skate his way through our new commercial for our PEANUTS® Christmas Collection. This Christmas, Teleflora is excited to #SendCheer with help from the PEANUTS® Gang! This Christmas, Teleflora is excited to #SendCheer with help from the PEANUTS® Gang! 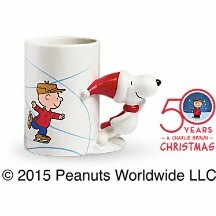 See Charlie Brown skate his way through our new commercial for our PEANUTS® Christmas Collection.